Credit: NASA. Download this image (PNG, 744 KB). 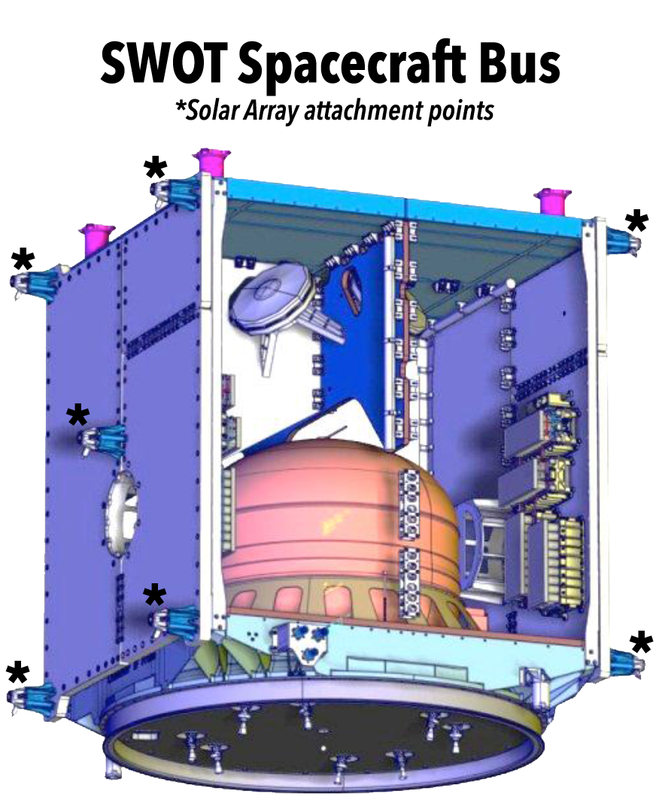 [01-July-17] Mounted above the Payload Module, the Spacecraft Bus is a multi-purpose platform housing many of the electronics required for the observatory to function, including components for power, propulsion and thermal control. Stars on the image depict where the solar array will attach to the spacecraft. For more information on the bus components, visit the Flight Systems page.